The panel discussion was live-streamed globally at 8:30 a.m. on October 11, and integrated questions from online viewers. Shelly-Ann was the only representative from the Caribbean. 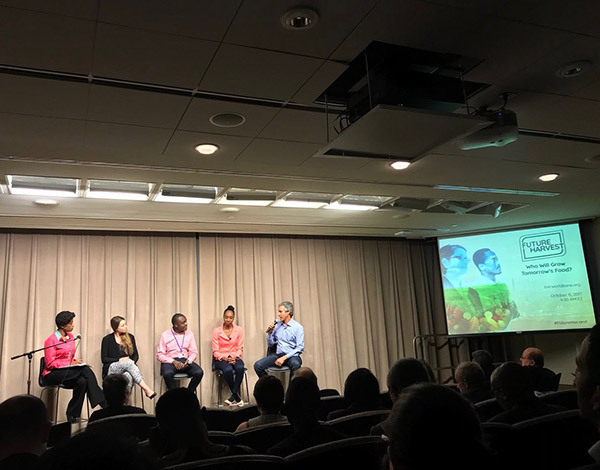 The one-hour live discussion, was moderated by international journalist Femi Oke, which gave voice to young farmers who are bringing their commitment and business skills to agriculture. 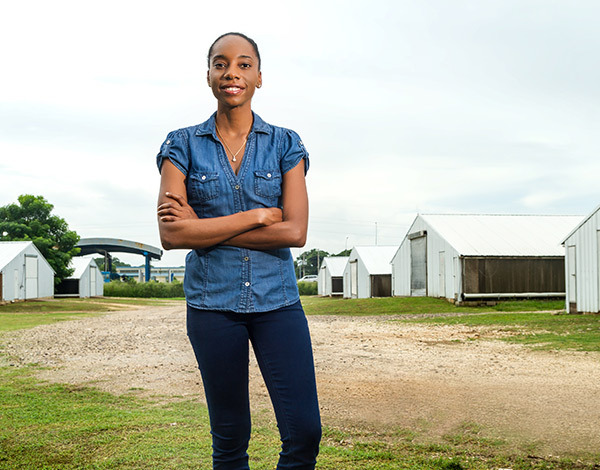 Shelly-Ann was one of four speakers who shared their challenges and breakthroughs – from using solar power to lower the costs of poultry farming in Jamaica to growing fresh greens for a small café in Kampala, Uganda, making farming viable for young women in remote Western Australia, and practising large-scale agroecology in the state of Sao Paolo, Brazil. Since then, the Jamaican young farmer has been incorporated in the World Bank Group promotional video highlighting the Bank’s important meetings held during 2017. 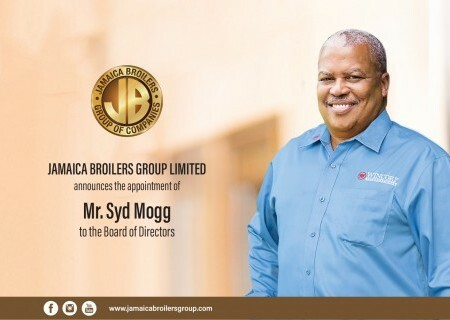 In 2015 the Jamaica Broilers Group and World Bank representatives visited her farm and a Youtube video was shot by Solar Powers in Jamaica, working alongside Gayle Young and Peter Vincent Von Elling of the World Bank. 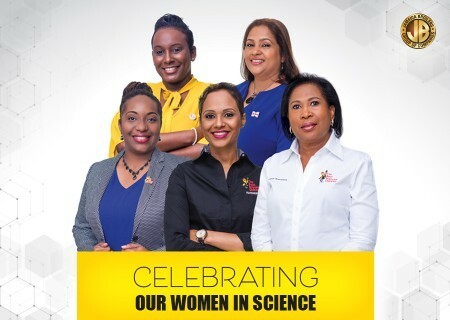 It was subsequently submitted to lead communications officer at the World Bank, Flore Martinat De Preneuf, who invited Shelly-Ann to participate in the panel discussion. 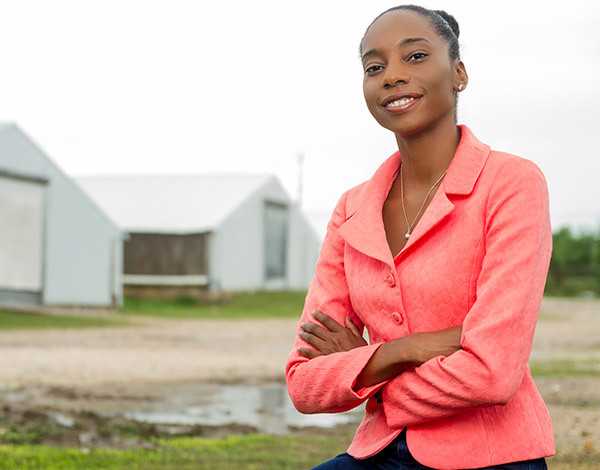 “Shelly-Ann was the obvious choice from Jamaica, because she has an enviable track record of achievement as a young, female poultry farmer since she became involved in her family business 11 years ago. Since taking over the farm she has grown the number of tunnel-ventilated houses on her farm from 2 to 6 and has captured Internal BDC Contract Farmer and Champion Trophies from the annual Denbigh Agriculture Show for being among the island’s best,” said Pamella Russell, General Manager Live Production, Best Dressed Chicken Division of Jamaica Broilers Group. According to a statement published on the World Bank website: “Global food demand is projected to skyrocket in the future, creating vast job opportunities in food production, transformation and marketing. But who will seize them? 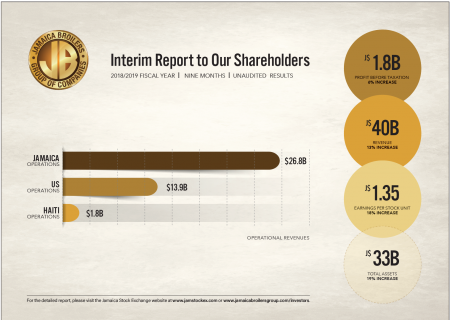 More specifically: who will grow tomorrow’s food? However, the multi-national organisation said that while it lamented the lack of interest in agriculture being displayed by young people, there were signs of optimism. “Surveys show that younger generations express a thirst for innovation, private entrepreneurship and meaningful work. They care much more about the quality, sustainability and provenance of the food they eat than their parents do. And many are drawn to technologies that have the potential to break new ground in food and agriculture”, said the World Bank statement. 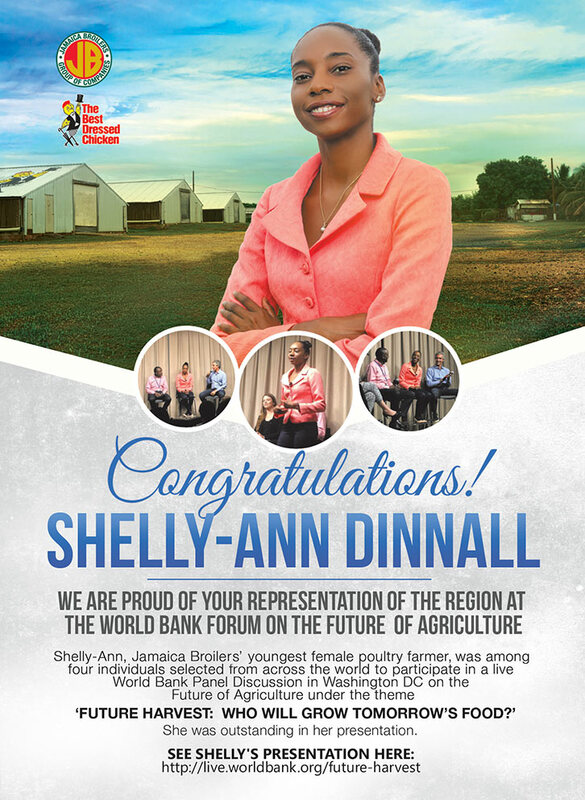 Shelly-Ann’s success story was posted on the prestigious and highly respected World Bank site, ahead of the panel discussion. 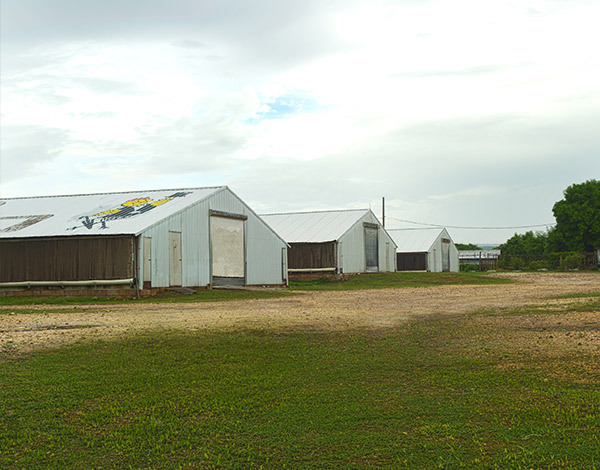 The young farmer started with two tunnel houses contracted to JBG and 80% of the debt remaining on investment, but was able to, over the years, increase to six tunnel houses. She invested in solar panels which reduced the electricity bill by 55%. 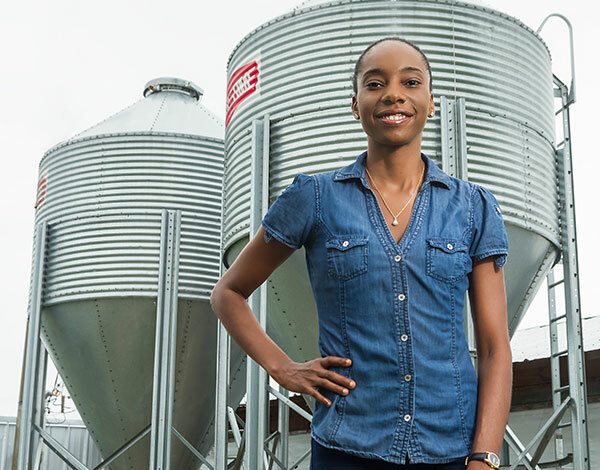 Her vision is to expand even further and have a diverse farm with poultry being the mainstay, and invest in more solar panels to further reduce production costs. “Farming as a career is in jeopardy and statistics shows there will be food shortage by 2050 if the issue of the lack of interest in farming by young people is not addressed. I am very excited to be recognised by an international organisation such as the World Bank for being an inspiration. I was very nervous during the panel discussion, as it would be my first time speaking to an audience and the fact that policy makers and World Bank clients were in the audience. So, I am grateful that my presentation was well received and that I received a lot of congratulations when the event was over. “It was a wonderful experience and I am privileged to have been a part of a very important message,” Shelly-Ann said.